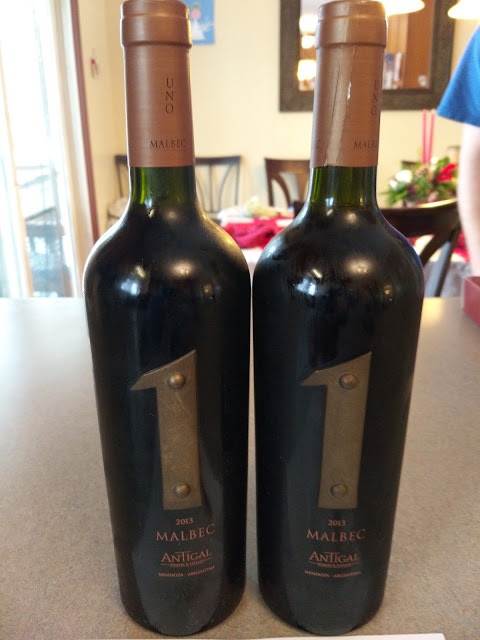 If you are looking for a great wine to toast the New Year or relax with as you head back to the real world of working, children in school and the holidays over, let me recommend Antigal UNO Malbec! Antigal winery’s gravity-fed system facilitates exceptionally gentle treatment of their hand-picked, meticulously sorted, high-elevation fruit. Consequently, Antigal UNO Malbec 2013 is an unusually elegant expression of its varietal type showing great balance and supple tannins. The 2013 vintage of Antigal UNO Malbec offers delicious plum and blackberry flavors with enticing hints of tobacco and chocolate. Brightened by carefully protected natural acidity, this violet-red wine is surprisingly versatile at the dining table, pairing well with lamb, duck, game, and pork as well as beef. You can purchase the UNO Malbec 2013 at your local spirits retailer.